LISBON, Portugal and NORTH CANTON, Ohio, Oct.9, 2018 /PRNewswire/ -- Banco BPI, a Portuguese retail bank and a member of the CaixaBank Group, has partnered with Diebold Nixdorf (NYSE: DBD), a global leader in driving connected commerce, to deliver innovative consumer experiences with an advanced, self-service solution. The bank will offer cash recycling and more advanced transactions to its customers as part of a refined branch concept with Diebold Nixdorf's compact, multifunctional CS 4090 automated teller machine (ATM). Representing an agile and adaptable business approach, the system can quickly and seamlessly address shifting consumer behavior and demands around the clock. Its advanced services include depositing cash and coins, changing notes into coins, ordering checks, depositing bundles of checks and viewing account balances. All these features enable customers to do more – faster, easier and at any time. The customer interface delivers the same customer experience as any other channel, such as home banking and mobile. The solution has already been implemented at 40 of the bank's branches, and an additional 45 branches are scheduled to follow by the end of year. The cash recycler is also a core component of BPI's first mobile branch, which will provide financial services to customers in rural areas. By the end of the year, the second phase of the solution is planned to be fully integrated with the branch staff's mobile application as well as mobile and home banking services. Consumers will be able to initiate transactions outside the branch that traditionally could only be completed by a teller, and cardless transactions will also be enabled. When completing deposit transactions, customers will have the option of personalizing the information on their account statements with the same degree of customization as at the teller window. "This new 'Self-Service Counter' solution is one of the pillars of our digitalization strategy, which aims to automate transactions and free up the sales teams so they can focus on selling more complex products and services", said Miguel Morais Leitão, director of Efficiency at BPI bank. 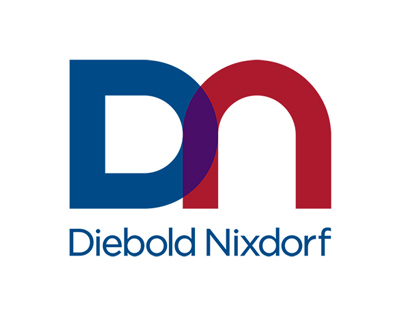 The announcement of the BPI solutions comes as Diebold Nixdorf is hosting its annual International Management Seminar in Lisbon from October 8-10, under the theme "Revitalize Retail Banking: Embrace the Larger Ecosystem." More than 200 leaders and decision-makers from the banking industry are attending this year's event to discuss how retail banks operating in an increasingly digital environment can align their business to meet consumers' dynamic demands. "There is no shortage of topics facing banks today: How to tackle digital transformation? How to shine with physical distribution channels in today's increasingly networked economy? And how to come up with innovative services and solutions even more quickly to stay ahead of the pack," said Alan Kerr, vice president of Software at Diebold Nixdorf. "We look forward to a lively and rewarding discussion and exchange of views among industry experts like BPI bank." BPI is centered on commercial and retail banking businesses in Portugal. BPI is part of CaixaBank Group, the leading financial group in the Iberian market by business volume and number of branches, totaling 15.8 million customers. BPI is the fifth largest financial institution operating in Portugal in terms of assets with market shares of 9.2% in loans and 10.7% in customer resources. 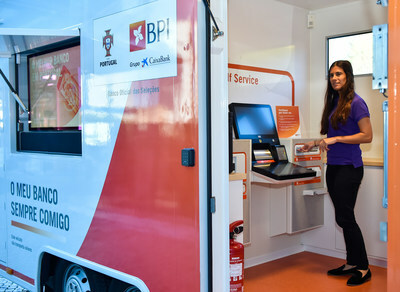 BPI serves, in Portugal, around two million customers through its specialized, integrated multichannel distribution network. BPI's banking business is organized around two main segments: Individuals & Small Businesses and Corporate Banking, Project Finance & Institutional Banking, which are served through physical and virtual structures and dedicated teams. For more information please visit: www.bancobpi.pt/particulares.